The Litchfield Public Library District is located in beautiful downtown Litchfield. 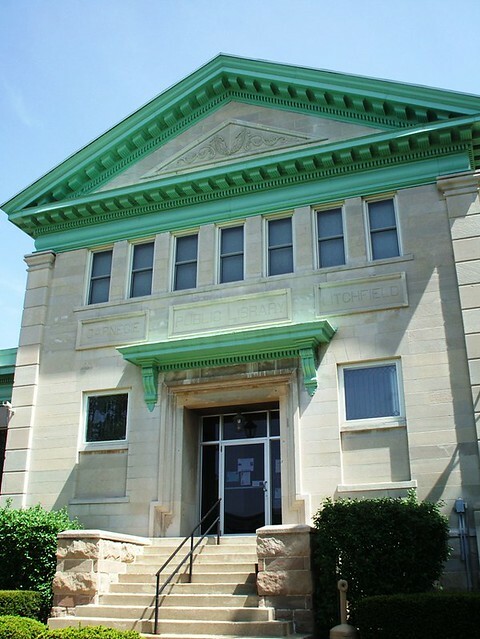 Housed in an original 1904 Carnegie building, the Library was remodeled in 1999 to become handicapped accessible. An elevator allows easy access to all three floors of the building, which was put on the National Historic Register in 1999. The mission of the Litchfield Public Library District is to serve the informational, cultural, educational, and recreational needs of all Litchfield residents, regardless of age or educational background, by providing adequate materials in a pleasant and safe environment that is conducive to the learning experience. The Library holds a collection of over 34,000 books, magazines, books on tape, DVDs, and more. We strive to have in stock the current best sellers in both adult and children's books.